After writing a successful article about niche ideas for the ladies, I have been getting feedback to write a similar post for the guys. It was challenging initially, but after much research, I discovered something rather interesting. While the generalization is that most men prefer gadgets, technology and sports, there’s also an ongoing trend for men searching for fashion online. Hmm…looking good is clearly on the men’s list these days. So in today’s post, I am going to show you some successful online business ideas in this niche and how you too can start one on your own. 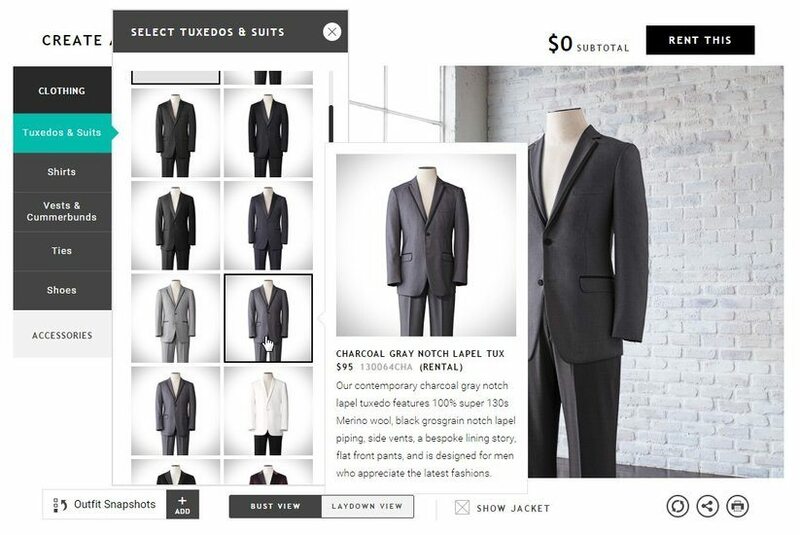 Is a bunch of digital racks when it comes to shopping for men’s clothings. Does the display below looks familiar to you? From the way the clothes are being displayed to the way they are trying to get your attention, it seems to me like the seller is just trying to push you a product. 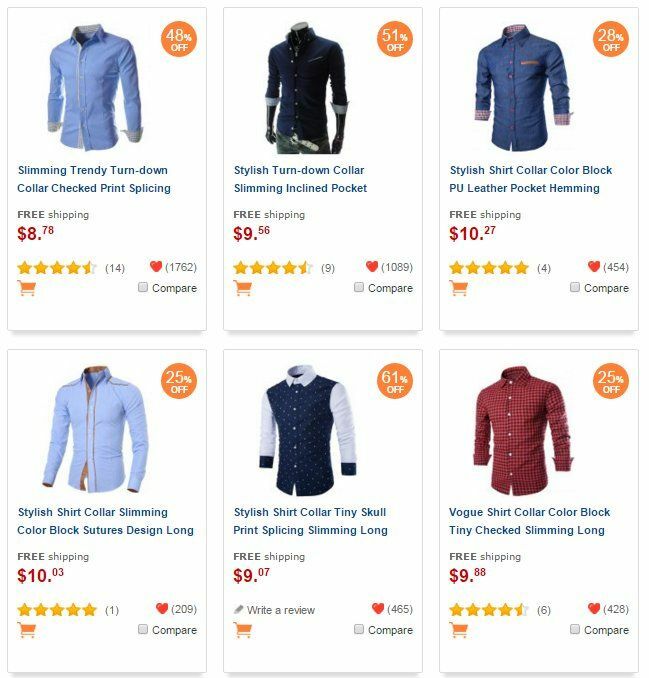 All you see is a clutter of wardrobe that doesn’t really offer any fashion sense (except for a lot of discounts and stars) and this is quite typical of a dropshipping site. But that’s not what we are interested in here. We want more interaction and a more personal approach when it comes to choosing what to wear. We want to provide information that makes our male readers go ‘“Wow, I want that too”. Here are some examples of online businesses that will make you think differently about men’s fashion. Do men like colorful socks? If your answer is no, you are wrong. According to Soxy’s customer survey, men love color-patterned socks for two reasons; it helps them to express themselves amongst dull-looking work attire and boost their confidence at work. So Soxy’s founders set out to do just that – selling high quality, stylish socks online that is now generating a seven-figure revenue for their small company. 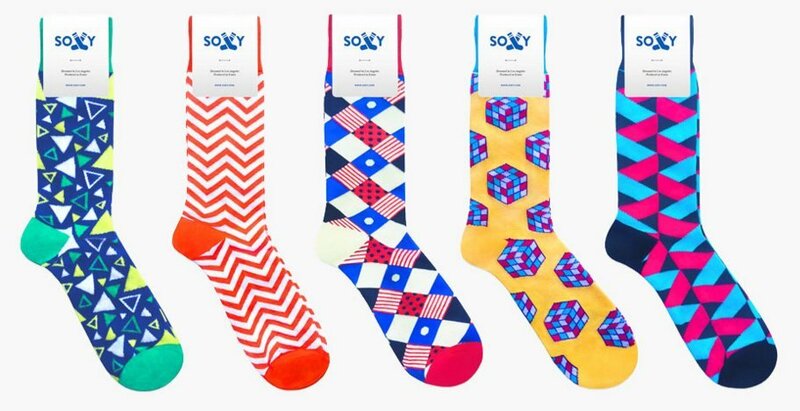 What makes this business even more interesting is that customers can order their socks based on a monthly subscription and Soxy will deliver them to the doorstep for free. Every package contains 5 pairs of unique looking socks that customers can actually choose online. We know that men look their best in tuxedos, but we also know that it will cost them a bomb to wear like that all the time. Fortunately, Tux Generation came up with a better solution by providing an online tux renting service. With their business platform, men can now mix and match their attire to suit to their style and budget right from their home. When the company receives the order, the tux will be delivered to your doorstep in a special wrinkled free package as if you have bought a brand new one yourself. According to some positive reviews, the rental system isn’t only convenient, but the quality of the attire is also very impressive and affordable. Think about it – if a man needs to attend 5 formal events a year, he would have more fashion variety using a rental service like Tux Generation than buying an expensive suit which will make him look the same in every picture. Now, that’s a smart way to look like a million dollar without having to pay for that price. The Dollar Shave Club isn’t really a fashion business, but since good grooming plays an important role in men’s appearance, I thought it deserves some mentioning here. For less than $10 (the cheapest one is about $3), this innovative company will send you high quality razors based on your monthly subscription so that you don’t have to drive to the drug store and wait for someone to open the rack for you. They also provide free compatible handles, the flexibility of adjusting deliveries and skin-pampering shaving products. Based on the positive reviews, men are clearly loving Dollar Shave Club for giving them a smooth shaving experience and affordability in the pocket when compared to other bigger brands. What Does These Three Businesses Have in Common? Although they might look like three different businesses on the outside, they share four factors that we can all learn as online entrepreneurs. They started from one person’s idea of presenting fashion in a better way to people. Instead of selling a range of products, they focus on one specific product. They focus on what their customers want and design their marketing based on that. So, What’s YOUR Fashion Idea? If you have the skills and creativity, invent one product and promote it with your own online store. Even if you don’t, that’s not a big deal. You can always promote other people’s fashion product through an affiliate blog. Build a WordPress website using SiteRubix to create an online presence. Use Google Trend to find out what product is popular out there. Do some niche/product research using a keyword tool like Jaaxy to determine what type of fashion topics that people are searching for online. It’s really not that difficult (or expensive) to get started. So if you want to learn more, get in touch with me within this entrepreneurship training program and I’ll be more than happy to lend you a hand. Do you have any thoughts or questions about starting a men’s fashion business? Please let me know in the comment area below. Interesting perspective on mens fashion. I think you make a really excellent point on how to appear to people’s sense of fashion online. I was selling high end women’s leather jackets online at one point and I found a much greater response to my ads when I added pictures of my model showing off the clothing. But coming up with ways for online shoppers to experience the product is a great way to appeal to their primal instincts that say “buy, buy, buy”. BTW: Thanks for the mens fashion ideas. Good images certainly play a vital role in attracting customers to purchase a product when it comes to the fashion niche whether it is men or women. If it’s your own retail, you would need to hire some models. If it’s affiliate marketing, the merchants usually provide banner/product image links that you can use immediately on a website, so that’s much more convenient. I really enjoy reading your articles. There is so much to learn from them. I think it is really good to become a specialist in a certain niche and offer a great idea. There is so much competition and so many directions to follow that it is easy to feel overwhelmed. It is not possible to know everything though, the best thing in my opinion is to focus on one idea and dedicate all the creativity and energy to it. I believe the successful examples given in your article did just like that. And they hit the nail on the head because I personally go the internet to find the unconventional and I give much more credit for a website that focus on only one kind of product or service. Specific niches stand out on their own because they give readers such a focused experience in understanding something. When people feel rewarded in that sense, they tend to have better impression of your business and are likely to buy from you because they trust you. Plus, you can really feel their creativity (and humor) and no competitors can actually beat that kind of personal element, I think. The sock business surprised me. I didn’t realize that men are so into those colorful socks, but it makes sense that they would want to express themselves and add some color into their business wardrobe. It seems the trend these days is to offer something on auto ship for convenience, so even something as simple as a razor or a sock becomes a lucrative business opportunity without even leaving your home! This is the advantage of online marketing. Once you build a good business brand and constantly get good traffic to your site, sales can become autopilot. The same technique works for affiliate marketers as well. One good product review can generate continuous income stream by just directing readers to the merchant site. With so many niche products out there, just imagine the kind of profit that you can make. This is what Wealthy Affiliate University strive to achieve in their online training program. Hmmm, that is interesting. I, myself, never look to fashion. I guess I wear what is comfortable. I do want to thank you for your commitment to find the relative specifics concerning men looking for fashion. Can you describe more of the Soxy online store? I have actually never heard of this store and they seem to have a good thing going for them. Soxy is an online store PLUS a socks subscription site. You can order a single purchase OR subscribe monthly to have different style of socks deliver to you. Free shipping is available and you can change your orders at anytime. Great reviews from a lot of happy customers. You should check it out too. 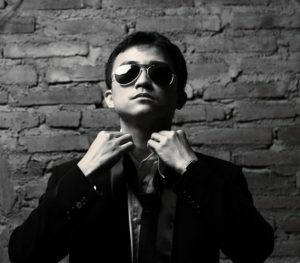 Hi Cathy, this post really got me a lot of ideas on what else men fashion business can be done online. The online business opportunity is really endless. Just out of curiosity, what do you think about selling necktie, briefcase and cufflinks? There are needs for these too, right? These products are essential for men who work in the office and I believe there’s an online market for them if you do a thorough research. To promote effectively, I would create a niche blog about men’s fashion instead of selling on drop shipping sites. I think it will provide more relevance to the audience as they learn more about the products. You have great website. I found your article “online business ideas for men” extremely interesting. 1) As for colorful socks, I am should say that every man will be glad to find the right pair fast. To serve this purpose can make a business more successful. 2) Renting service for clothing is a great idea, especially for men because they can see beautiful image online and not to waste time in the wardrobe at home, choosing all over the place. 3) Cool idea with razors. They can also organize morning shaving delivery service. Even as a woman, these ideas are inspirational to me. Yeah, these are great examples of entrepreneurs who think out of the box. And it’s very important that they do so because online services can offer so much more convenience to customers than normal retail store. If people like your service, the traffic going to your site can really boost up a lot. Something every online woman entrepreneur can think about when trying to build up their own niches.